The Chiller Tub is a specially designed cold plunge tub that enables users to benefit from cold water therapy. This type of therapy is used in Nordic Spas and for sports injury and muscle recovery. Our “chiller tubs” utilize an Arctic Air Source Heat Pump specifically designed for water refrigeration unit, to do the cooling, in addition to an external circulation pump and filter, results in the refrigerated water being circulated through the tub. The refrigeration unit also has its own digital temperature controller, thus not requiring a separate external controller. 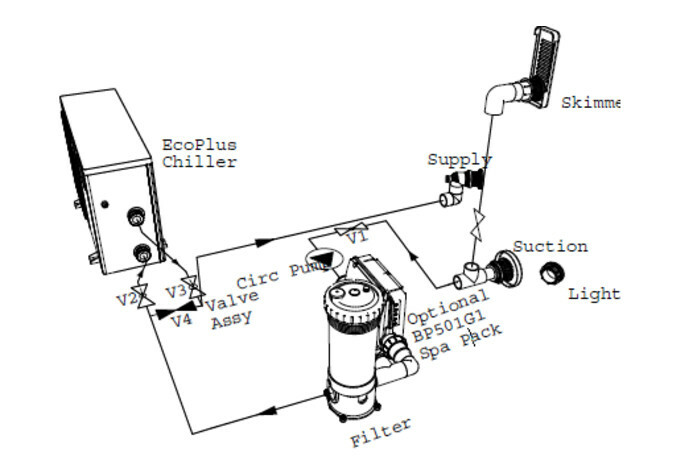 The hot tub & pool chiller use a titanium heat exchanger to separate the spa water from the cold R410A refrigerant. Our Aqua Therapy tubs are ideal for use as a cold water therapy tub but this system can be used on any of our hot tubs or Ofuro’s. The extra 5 ft tub depth allows full body immersion while still being a safe depth for most adults. 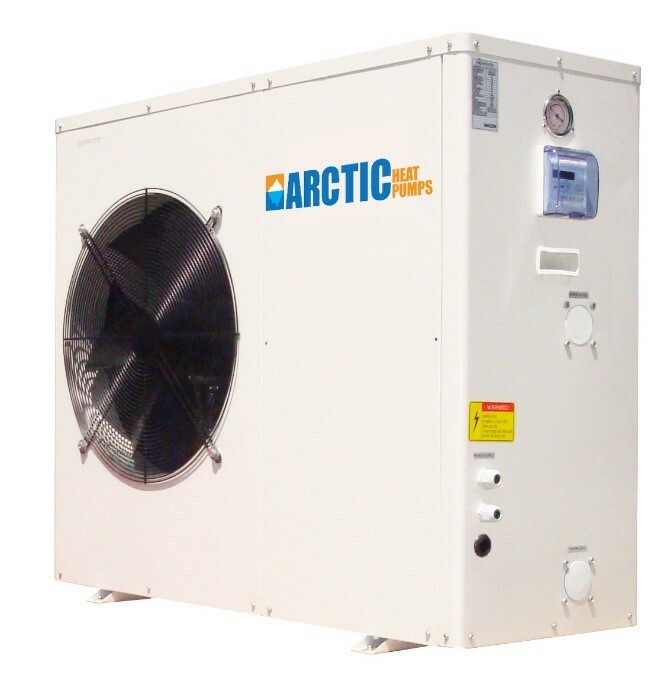 Arctic Heat Pumps are the only heat pumps in North America that can do heating and cooling as well as operate in low temperature conditions as cold as 20 F and still be efficient. Best of all a heat pump will save you 60-80% on energy costs compared with a traditional electric heater. The equipment is powered through a digital pool/hot tub timer that is included with the Arctic Heat Pump. This allows adjusting the time(s) when the pump will run in order to achieve filtering. During these “on” periods, and only then, the water can be cooled (or heated) by the refrigeration unit, if the temperature is above the setting. The unit also has an “auto” feature that allow the unit to switch from heating to cooling as needed to maintain the set point temperature. Such water refrigeration systems as shown above, is of commercial quality and the hydraulic circuit is very much similar to a soaker gas heated system, except it can cool instead of heating. The diagram also depicts the use of an optional spa pack that can be used as a backup heater or used in climates that will get below 20 F (-7C). This spa pack then will allow the customer full topside control with the use of its controller including light/jets/temp adjust. The spa pack can only assist with heating functionality. The Chinese and Romans practiced cold therapy for 1000s of years. However more recently modern medicine has adopted the healing practices of cold water therapy. Normally cold water therapy is associated with an alternating hot and cold medium. 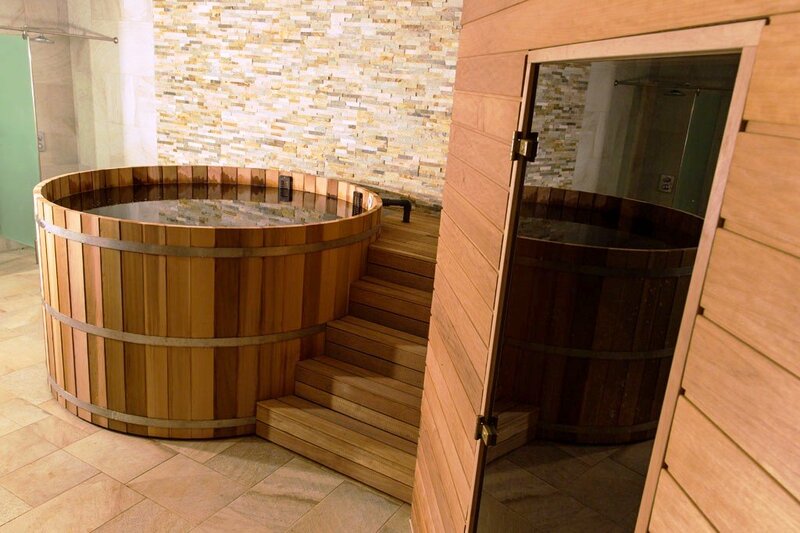 Usually a steam room or a sauna room is used to warm the body before jumping in to the cold plunge pool for a few seconds or minutes. Immersing your body in hot water and then cold water can be extremely beneficial. When you enter the tub the cold water quickly numbs your nerves surrounding the muscles and your joints. This cause the body to release endorphins which can aid in eliminating muscle and joint stress. The cold water also quickly causes the blood vessels to contract and reduces joint and muscle swelling. Another benefit often associated with cold plunge pools is to help increase the body's immune system. The cold water stimulates the body into producing a hormones called cytokines. Cytokines are widely known to boast the body's immune system and help to protect against virus and bacteria that can cause colds and flues. The restriction of the blood vessels is also known to be beneficial in lowering blood pressure.